Training for Grandmas Marathon has finally begun. Monday started off with a 5k speed run that I just did on the treadmill since it was cold and snow-covered outside. I was very surprised that I was able to kick out 3.2 miles at 8.9 miles per hour after taking it easy for the last month while healing up from my pacemaker replacement surgery. This is actually faster than I would have been able to run at this time last year. I left the gym feeling really good about kicking off the training schedule so strong. The next day I went to the gym for my total body work out with Tony. This was a little harder and I must admit I really felt the Pectoral Fly exercise since I have shied away from using these muscles after they cut through them to replace my ICD last month. Over all, I left the gym feeling pretty good about the work out, but also knew I would have some muscle complaints the following day, once the delayed onset of muscle soreness set in. Here is what my Total Body Heavy workout consisted of. Waking up the next morning, I wasn’t very surprised to find my pecs were sore along with my hamstrings. 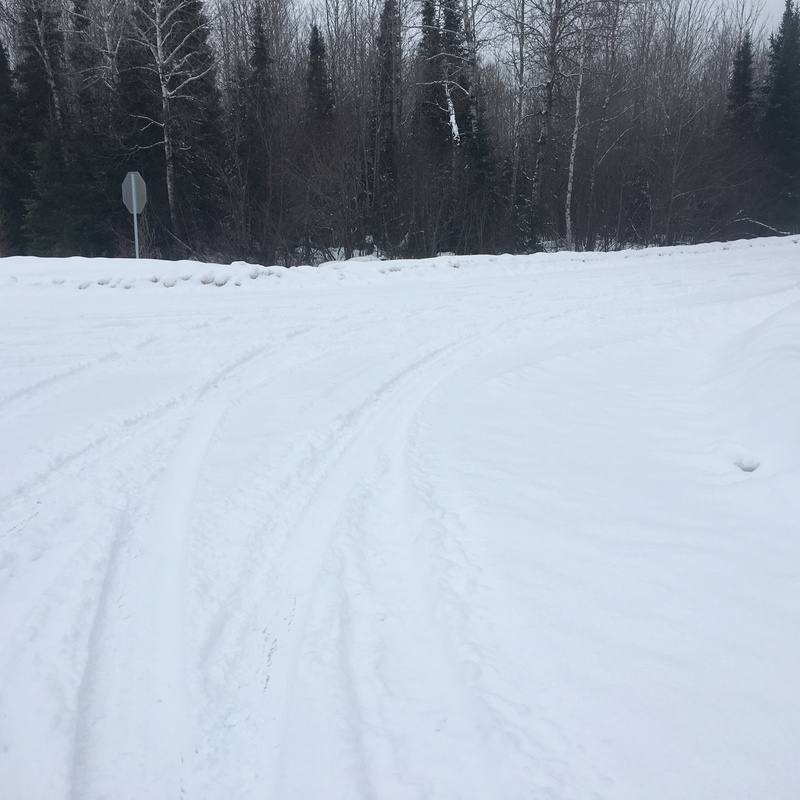 I had planned a long snowmobile ride with some friends for the day so I was in a hurry to get the intermediate run on the training schedule for the day completed and go snowmobiling. As soon as I woke up, I quickly got my running gear on and headed out the door without even bothering to look at current weather conditions. Once out the door, I realized that over that over two inches of fresh heavy snow had fallen during the night and was covering everything. 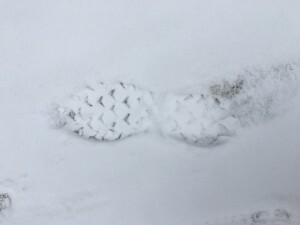 Great for my planned snowmobile ride, but not the best for an easy 7 mile run. 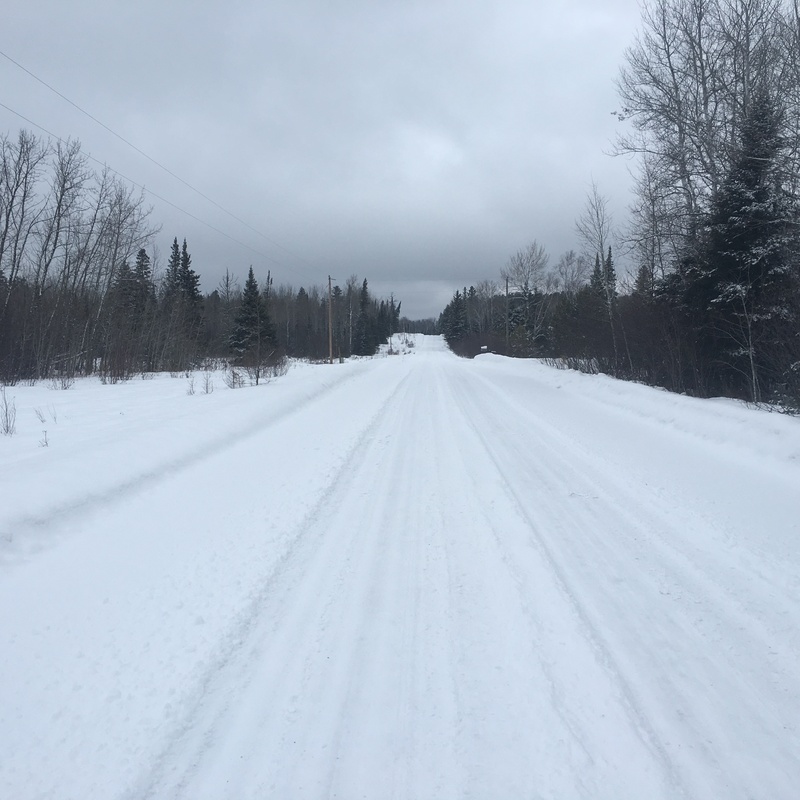 The snow was very heavy and wet which made for a slippery run. It felt like running in sand. It didn’t take long for my calves to start protesting and soon I felt every muscle I worked the day before complain. By the time I made the half way point and turned around (3.5 miles), I had very little energy left and some pretty angry complaining muscles. I was pushing pretty hard, and for the amount of intensity I was experiencing I was very surprised to see I was keeping such a slow pace. According to a glance at my Garmin 220 Forerunner, I was only averaging around a 10 minute mile. Normally a 10 minute mile for me is very easy. Today felt like I was running at race pace but in slow motion. ( Click here to view my run on Garmin Connect)By the time I finished the run, the thought of snowmobiling wasn’t looking as fun since my muscles were now protesting but turning down a snowmobile ride with friends isn’t something I would ever do. 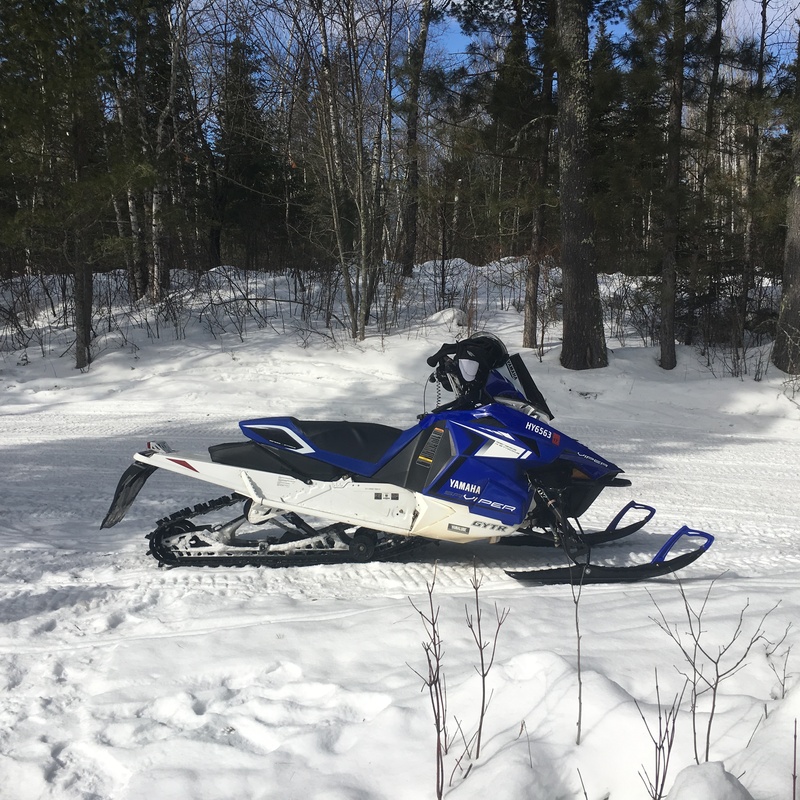 So after a quick shower and a half hour of rest while drinking a giant green smoothie, I headed out to the garage, suited up and headed out on my snow machine to meet up for the ride. Once on the machine, I realized even more just how unhappy my legs were. Normally I ride hard and fast and this requires me to be able to get on my feet fast to help take up the big bumps and jumps. Going from a seated position to a standing position now seemed like a lot of work so I did my best to take it easy, hanging with the pack for about 100 and some miles. I wasn’t enjoying the really rough sections that I normally ride through much faster but overall it was a good ride. Once the sled was back in the garage, I was in the house sleeping like a baby within about 15 minutes while dreaming about my workout with Tony in the gym the next morning. Thursday’s scheduled training was a Full Body/Light workout, and driving to the gym I seriously wondered if I would get through it. My body felt really worked over at this point and felt the effects of not only Tuesdays gym session and Wednesdays run on fresh snow, but also the sled ride which helped make everything feel even further used and abused. Upon arriving at the gym and telling Tony how tired I was, he tried to reassure me by explaining that a light full body workout was actually going to help my feel better. Once I warmed up and got started, it did feel better and I was able to get through the workout without issue, although I still felt sore and fatigued. Here is what Thursdays Full Body workout consisted of. This workout wasn’t as bad as I thought it would be and like Tony had said, some of it actually seemed to make my sore muscles feel better. 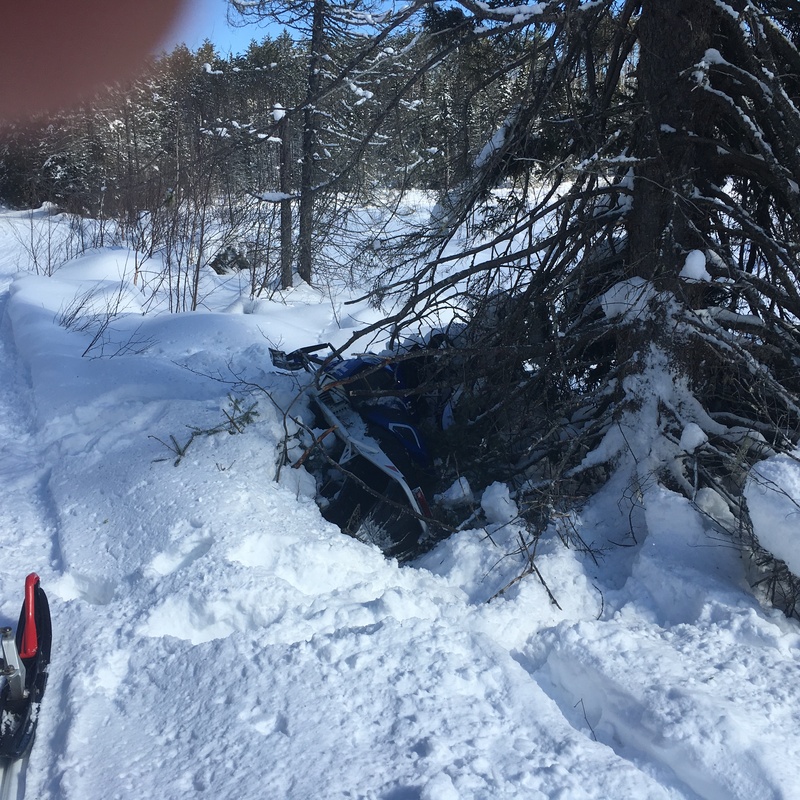 The rest of the day I spent at work sitting behind my desk so I felt pretty good by evening and started to get excited about snowmobiling the next day. Fridays are rest days on my training schedule, and since the snow conditions and trail conditions were so good I planned a snowmobile ride with some friends for a couple hundred miles down to the North Shore and back. 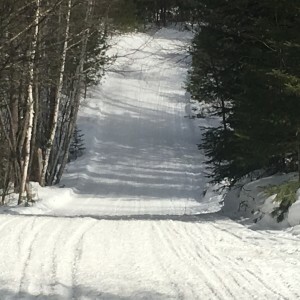 I was somewhat still tired from the last four days but the first hundred miles or so I felt great and was able to really tear up the snow in the tight twisty bumpy sections leaving everyone in the dust. 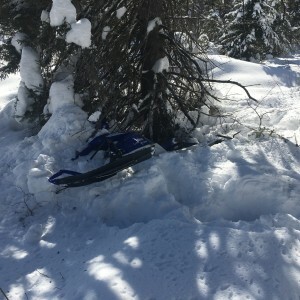 But as the day went on, the sled traffic got heavier and the trails started to deteriorate along with my muscles. Little by little the hard riding and rough trails were wearing me down. Then I took a corner a little too fast and couldn’t hold on, sending me and my machine deep into the woods. 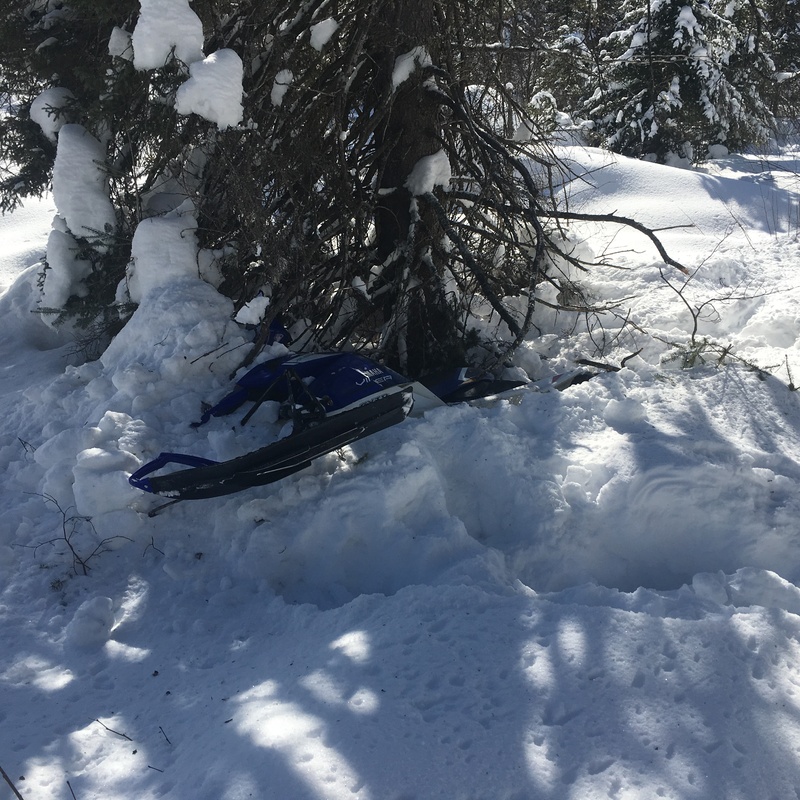 Other than a headache, a broken helmet shield and a fat lip, I didn’t get too banged up but my machine was severely stuck and I could see I was going to get a good work out trying pulling it out. 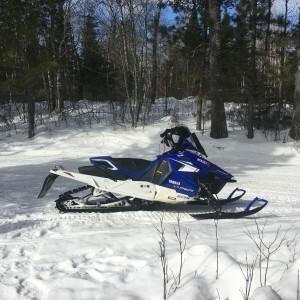 Thankfully there was so much snow, it softened the blow to my sled and there wasn’t any damage. After digging, pulling, yanking and digging some more, (fortunately now with the help of others that stopped to help), me and my machine were back on the trail leading the pack home. Saturday was my first scheduled long run, and thankfully since it’s the beginning of the schedule, my first long run was only 10 miles. My wife and I decided to join the local running club a couple months back and today they were having a run with a few people doing 10 miles. We decided to go meet all the runners in the club and tag along. I didn’t have anything that felt sore at this point but I didn’t exactly feel like I had much energy either. I fell in behind a couple runners that were running a very steady nine minute pace. The sun was out and it was the warmest day we have had here yet this year. 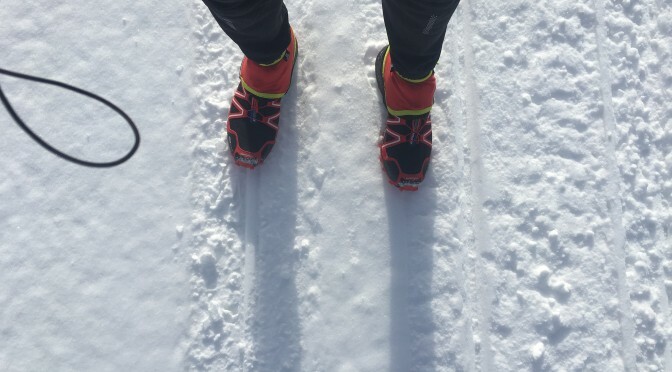 I was finally running on dry pavement but was a little over dressed for the warmer temps. By mile 7 or 8, I once again could feel all the muscles that I beat up earlier in the week. I was still maintaining a 9 minute pace, but I felt like I was running with everything I could muster to maintain it. Normally I can hold that pace without issue and for further than 10 miles! By the time I finished my run, I was looking forward to just resting and nothing more until I start all over again on Monday. 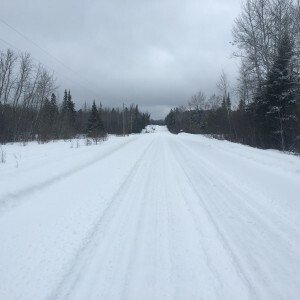 (Click here to view my run on Garmin connect) The rest of Saturday and all day Sunday were well needed rest days and this time I used them just for that purpose, hoping to start the following week strong once again.